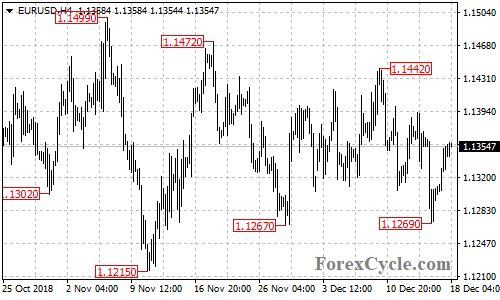 EURUSD broke above 1.1350 resistance, suggesting that the short term downtrend from 1.1442 had completed at 1.1269 already. Further rally would likely be seen in a couple of days and next target would be at 1.1420 area. Near term support is at 1.1320, only a breakdown below this level could trigger another fall towards 1.1200.